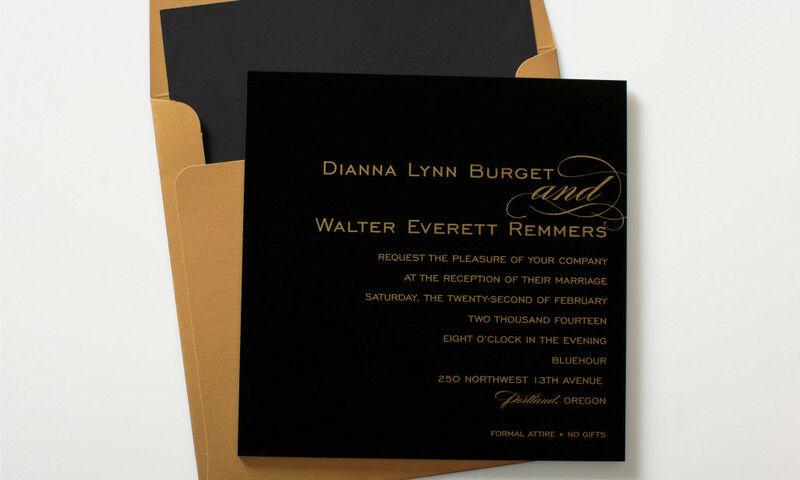 Antique gold ink on black acrylic makes quite a statement, especially when mixed with this clean, modern layout. 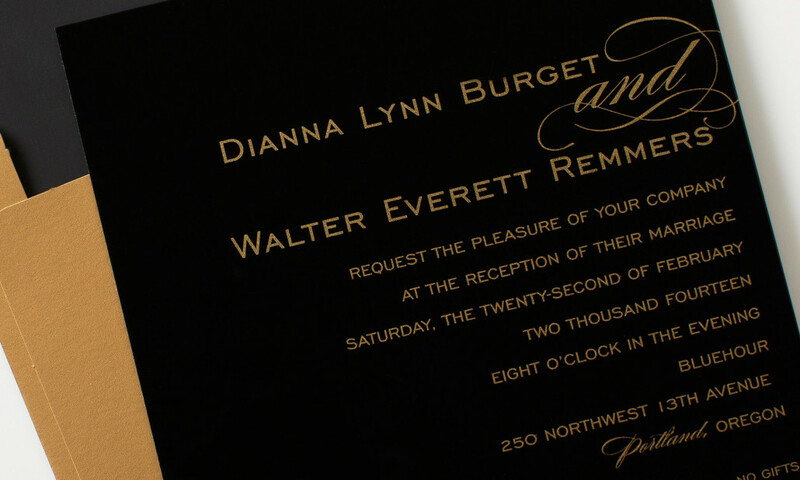 This wedding invitation is shown with a coordinating gold envelope and black liner. Alternative acrylic, ink and paper colors are available to suit your wedding style.